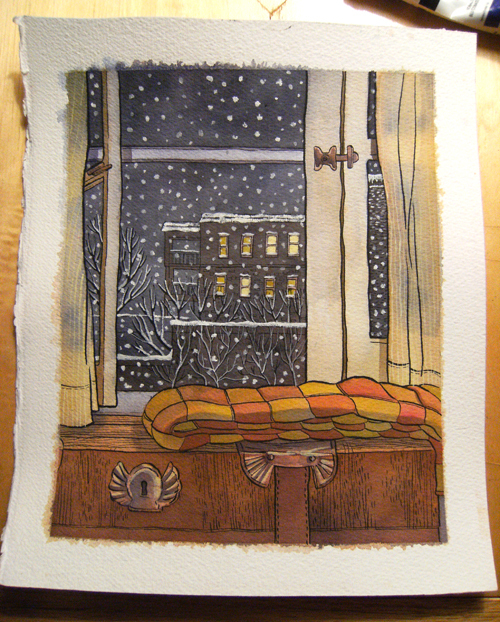 I finished another piece in the urban winter series! There are a couple posts with process here and here. This one was kind of a challenge. I think I changed color palettes a few times while working on it in attempt to find the right...mood? Atmosphere, maybe. After working on a painting, nothing helps wind down like sketching whatever. 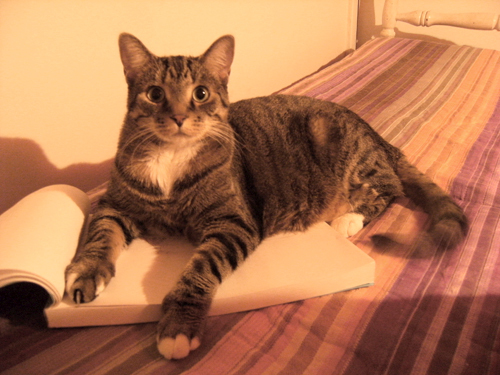 My cat likes sketchbooks almost as much as I do. 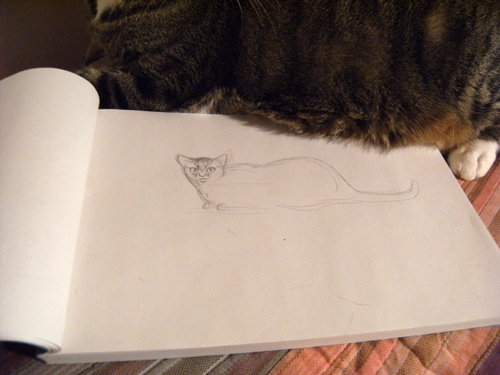 This time she was just covering up this drawing I made of her. She's pretty modest.